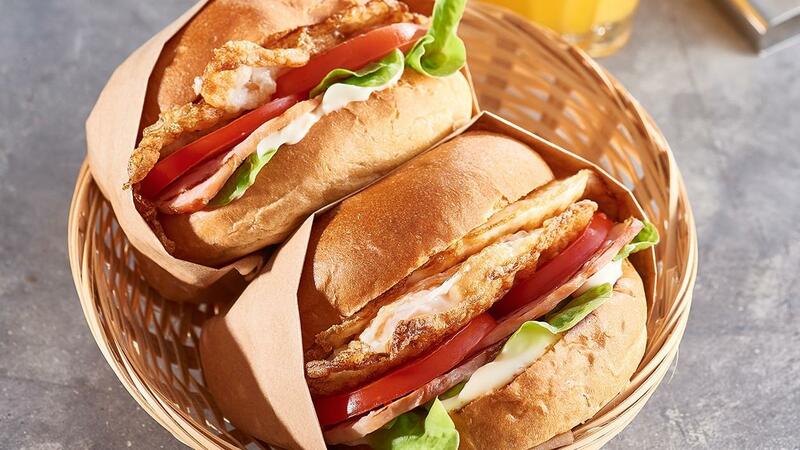 A fresh bacon and egg roll is an ideal breakfast to keep you going for the day. Instead of using just a plain roll, try a fresh toasted brioche for its sweet taste and soft texture. Fry the eggs, then grill the bacon until crispy. Slice and toast the brioche buns lightly. Spread the HELLMANN’S Deli Mayonnaise over the buns. Layer with lettuce leaves, tomato, bacon and egg and serve. You can add a little KNORR Chipotle Sauce to this recipe for those BBQ sauce lovers.